The Anand material model (see refs. and ) is used to model metals at high temperatures, such as solder. 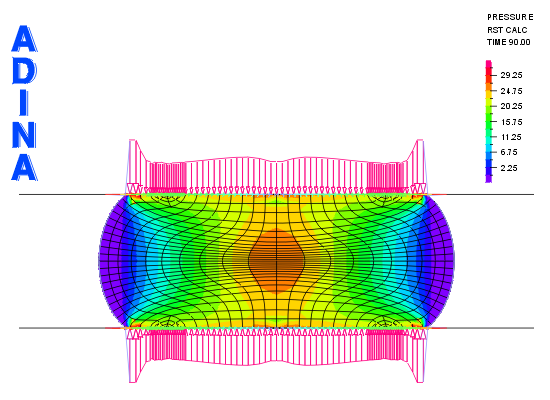 The viscoplastic strain rate increases as the ratio of the effective stress, , to the deformation resistance, s, increases. There is no level of non-zero effective stress for which the viscoplastic strain rate is zero. 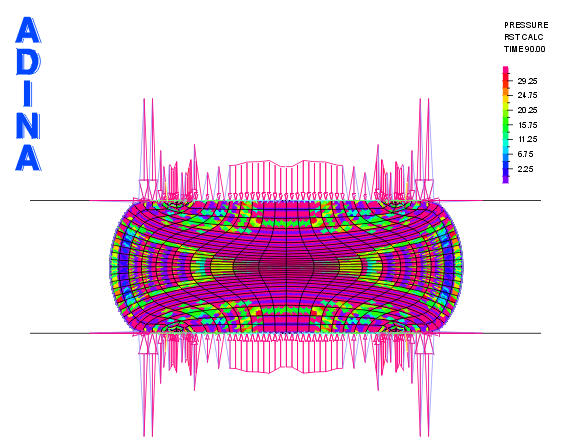 For details about the deformation resistance and the material constants used, see refs. and . 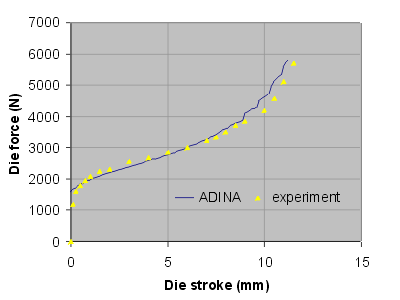 The force-deflection curve from ADINA is shown in the next figure, along with experimental data digitized from ref.. The evolution of the effective stress and contact tractions are shown in the movie at the top of this web page. 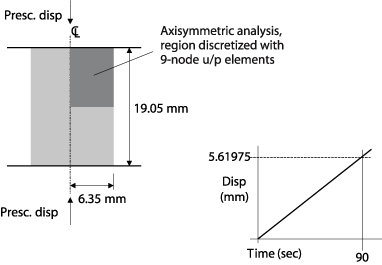 The following figures show the deformation resistance and accumulated effective viscoplastic strain at the end of the analysis. 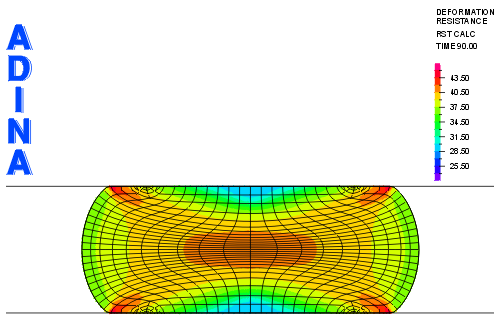 The pressures lock and the contact tractions are poor when the u/p formulation is not used. 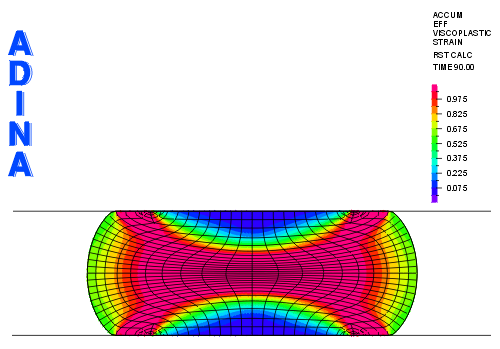 G. Weber and L. Anand, "Finite deformation constitutive equations and a time integration procedure for isotropic, hyperelastic-viscoplastic solids", Comp. Meth. Appl. Mech. Engng., 79 (1990) 173-202. S. B. Brown, K. H. Kim and L. Anand, "An internal variable constitutive model for hot working of metals", Int. J. Plasticity, 5 (1989), 95-130.